The Windows 10 OS just got released yesterday and there are a lot of people who want to install it on their computers. However, before you proceed with the installation of the Windows 10, we suggest you to prepare the computer and today we’re going to tell you a few steps that you should take before downloading and installing the newly released Windows version. One of the best things that Windows 10 comes with is that you can get a free copy of this new operating system. However, in order to get it, you will need to have a Windows 7 or Windows 8 license. 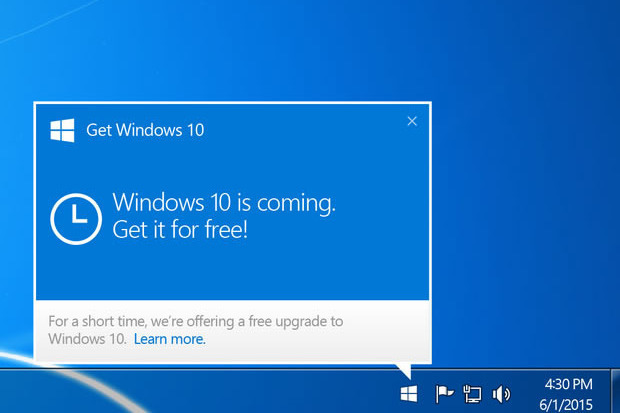 For example, in case your computer is running on Windows 7 or Windows 8 OS, you will be able to get a free upgrade to Windows 10 Home edition or Windows 10 Pro edition. Keep in mind that you will need to upgrade until July 29, 2016, when this offer will expire. It seems that the Microsoft Window 10 OS has the same minimum requirements as the latest two Windows versions. With other words, in case your computer was able to run on Windows 7 or Windows 8, then it will be able to run the Windows 10 without any problems. Windows 10 is a robust operating system and, as you’ve seen above, it takes quite a bit of hard disk space. In order to check how much available space you have on your primary hard drive, you will need to right click the C:\ drive and select “Properties”. A new window will pop up, showing exactly how much free space the C:\ drive has. In case you don’t have enough space (check above the required GB you need for Windows 10 32bits or 64bits) you will need to start cleaning the hard drive, to gain more space. You can either uninstall the games/applications that you don’t use and are installed in C:\ or remove the temporary internet files. Once you have enough space, you will need to perform a system image backup, just in case something goes wrong. Once you’re sure that your computer meets all the requirements and has enough free space, then you’re almost ready to install the Windows 10 update. However, for security reasons, we suggest you to make a system image backup. This way, in case something goes wrong, you will not lose any important data and you will be able to restore your computer to the previous Windows OS that you had installed before updating to Windows 10. A system image backup is actually a snapshot of your entire computer software, which includes applications settings and data, allowing you to restore them in case the installation of Windows 10 gets stuck. By using this image, you will be able to restore all your settings, applications, files and folder from C:\ in just a few minutes. After taking all these steps, your PC is ready to be upgraded to Windows 10. Keep in mind that the Windows 10 update will be released on a staged rollout. This means that there are high chances for you to get the Windows 10 update after a few weeks. 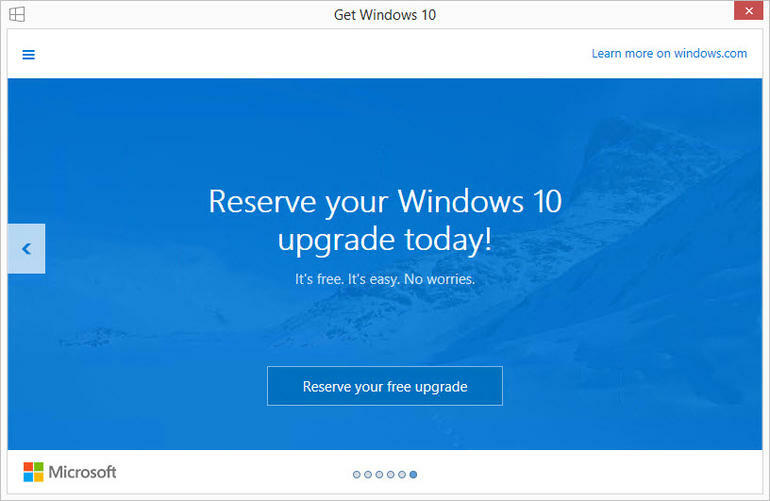 However, there is a way to update right away to Windows 10, by downloading the installation file directly from Microsoft (http://www.microsoft.com/en-us/software-download/windows10). After downloading the installation file on your computer, you will download the Windows 10 image file to your computer and start the installation. You can also create an ISO file and burn it on a DVD or make a bootable USB stick with it. In case you decide to install the Windows 10 without using a DVD or an USB stick, you will have to choose if you want to keep the current files or if you want to delete all data and install a fresh copy of Windows 10. Keep in mind that some files will not get deleted and you will waste a lot of space with some files that you will not even use (found on C:\Windows.old folder). This is the reason why we suggest you to burn the Windows 10 image file to a DVD or a USB stick, format the C:\ and start a fresh installation on your computer. Have you installed Windows 10 on your computer yet? Tell us your thoughts about it!